We will be open March 23rd! 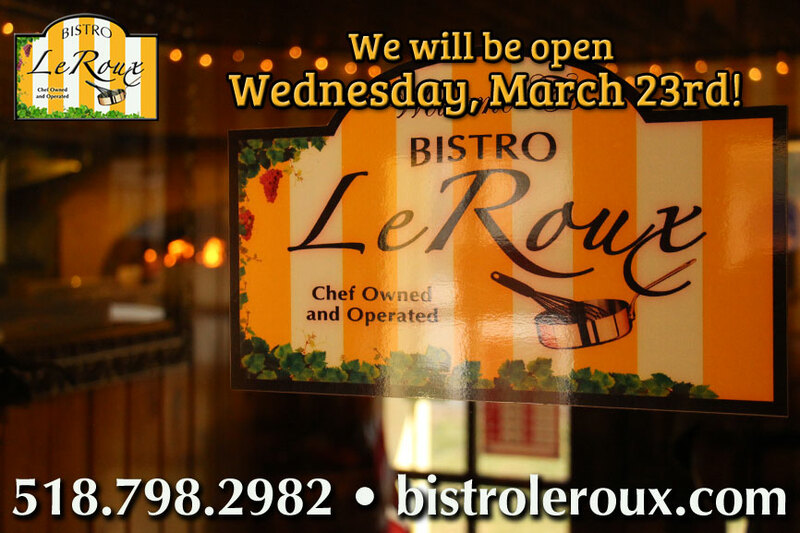 Back from our winter break, the Bistro will be open tomorrow, Wednesday March 23rd! 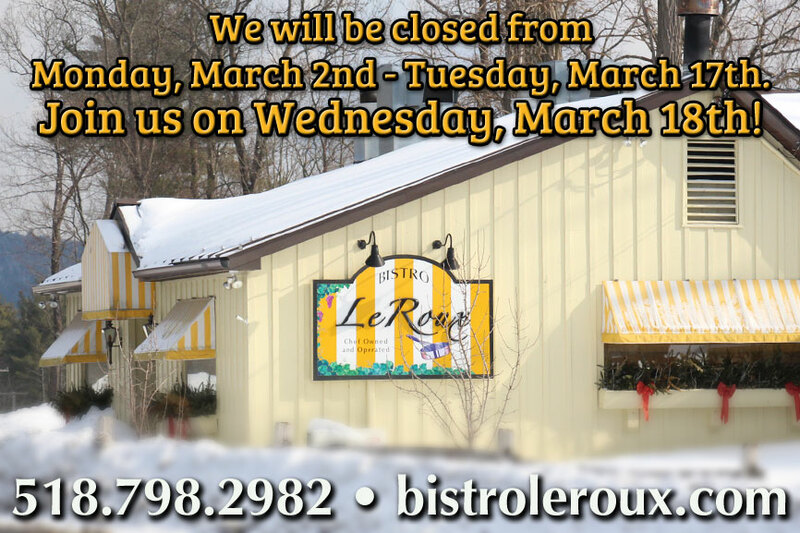 Back from a brief winter break, Bistro LeRoux will be open tonight! We will be closed from Monday, March 2nd – Tuesday, March 17th. 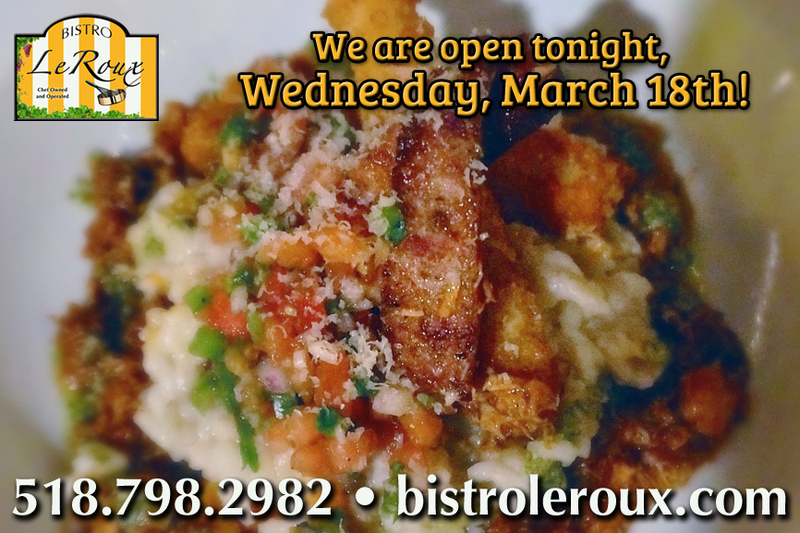 Please join us on Wednesday, March 18th when we re-open.